ReviewCoreASPHosting.NET | Best and cheap ASP.NET Core 1.0 hosting. 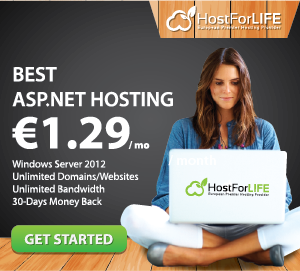 HostForLIFE and DiscountASP.NET are two recognized windows hosting providers. Both focus on windows hosting only. Both are experts in providing ASP.NET hosting. It is only natural that people may wonder which one offers better windows hosting service. To solve this puzzlement, we have worked out a comprehensive comparison between them. This comparison revolves around all key aspects for evaluating a web host including price, hosting features with special emphasis on control panel, and performance. HostForLIFE is dedicated to providing the most affordable world-class windows hosting solutions for their customers. Currently it offers 4 windows hosting plans named as classic, budget. economy and business, regularly starting at €3.49. If people purchase any plan from the promotional link below, they can save 1 or 2 dollars per month. 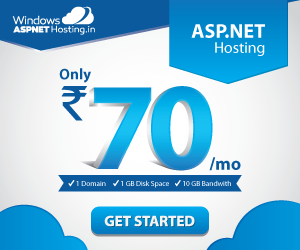 On the contrary, DiscountASP.NET offers but one plan called Base Web Hosting Plan. The plan can be billed quarterly or annually at a price of $10/mo. The price may seem a little expensive. Good news is that the company is offering a 50% discount. However, to enjoy this discounted price, people need to click the promotional link in below. Both companies offer a complete package of useful features for windows hosting. Interestingly, we find they share a majority of hosting features while the differences largely lie in the volume of resources. Since these features are too numerous to be listed here, we have only selected some key ones to help readers get a better understanding of the similarities and differences between the two hosts. Note that both companies utilize web-based ASP.NET control panel developed by themselves. We have attentively studied both control panel demos to figure out which one works better. Here comes the result. HostForLIFE control panel makes a better first impression than that of DiscountASP.NET does. HostForLIFE has all the major items centered and well laid-out. By comparison, DiscountASP.net control panel looks a little bit imbalanced just like their official site. HostForLIFE control panel allows users to manage their account & billing, sites, and domains. Users can also order SSL certificates service or SiteLock service there. Besides, there is a web application installer in the control panel. This Application Installer includes many popular open source applications like WordPress, Drupal as well as .NET applications. With DiscountASP.net control panel, users can manage their account, billing, email and database. They can install ASP.NET applications through Web App Gallery. They also have access to many tools and utilities such as IIS tools, web application tool, DNS manager, etc. Since DiscountASP.NET targets at developers, it has also customized the Control Panel API for those advanced users. DiscountASP.NET has taken some extra steps by employing more cutting-edge technologies in its systems, servers and data centers. It has located two data centers in both US and Europe. The facilities are protected by handprint entry system, redundant OC-48 connections and are staffed by 24/7 security guards. The performance speaks for itself. 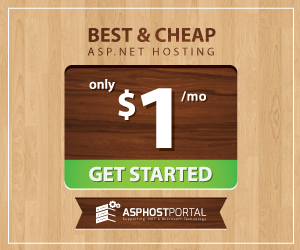 HostForLIFE has been a Microsoft-recognized ASP.NET hosting leader and has won numerous awards given by authoritative publications in this industry. Based on our analysis, we recommend both hosts to windows hosting users. HostForLIFE is a better choice for windows hosting starters since it offers more affordable plans with rich resources. DiscountASP.NET, on the other hand, is more suitable to web developers.